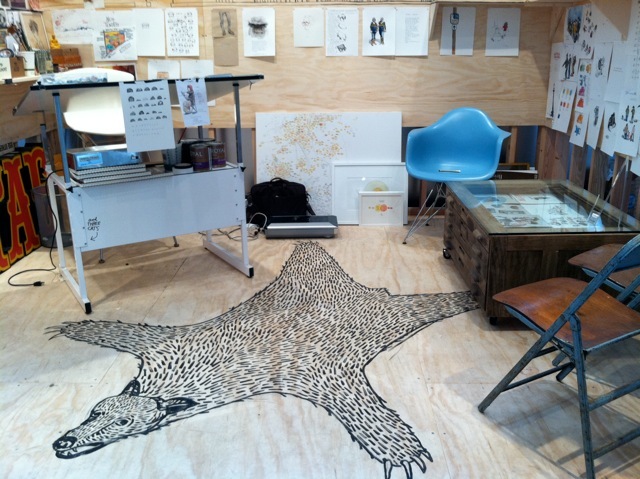 here are a couple images from my installation at the sf20 design show that never made it online. 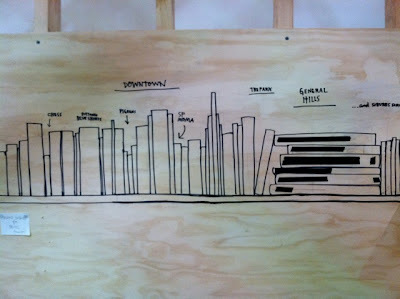 the first is my book collection drawn as the sf skyline. the second is a 100% bear-free bear skin rug.